Since we launched the latest free theme for Big Cartel stores, we’ve seen folks slathering on the Sunscreen. I love the way that Rolling Red is utilizing the hover feature on the product list to show product options. As with all of our themes, we assemble the product list using the first image from each product page. To keep things interesting, Sunscreen uses your second photo to show additional imagery when shoppers hover over the item. 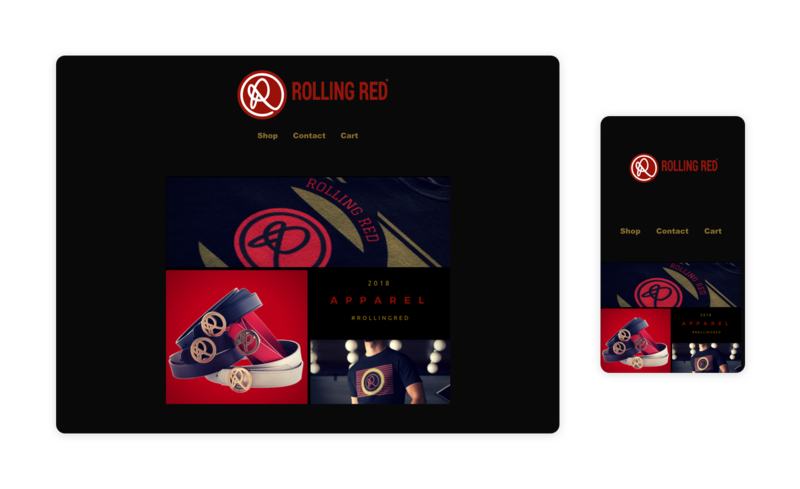 Check out Rolling Red’s hover effect that shows how a single sweatshirt comes in multiple colors. 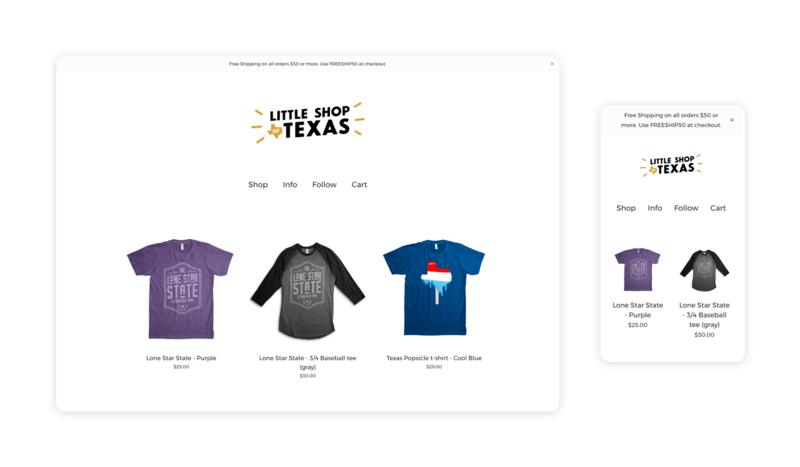 Little Shop of Texas knows that holiday shoppers have several people on their list, and they’re looking to save a little money if they can. I think it’s smart that they’re using the announcement message at the top of their store to promote a discount code for free shipping when customers spend $50 or more. With Sunscreen, you can choose whether to feature products or categories on your home page. 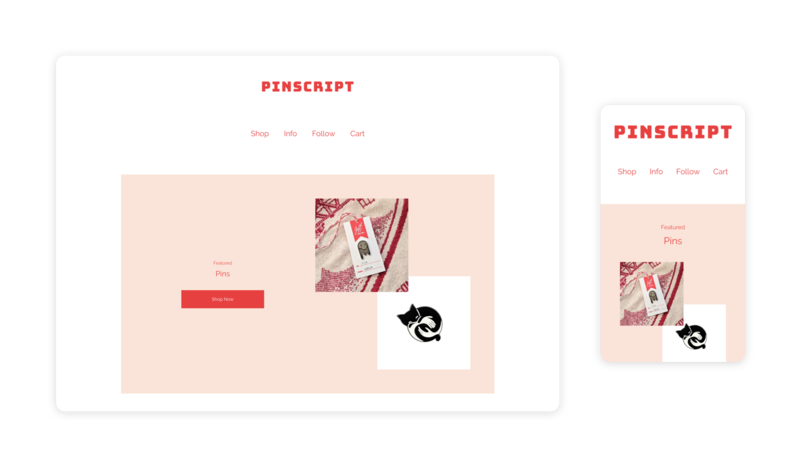 Pinscript starts with featured categories, which helps shoppers know where to start. I love that designer Brandy Bingham has combined a strong block logo with a gentle pink Accent Color. Shop these stores or explore Sunscreen’s test store to get an idea of how the theme might work for you. If you’re ready, you can try it out in your shop. Just head to your store admin and give it a spin.